Its large luggage space offers enough to transport a few kids, a refrigerator or washing machine. The canopy will protect from rain and cold and can easily be pulled over the whole bike. It is completely transparent and allows allround visibillity. If it gets too warm underneath it can be left open a little at the front. LISSY is a lot more responsive than it first looks. 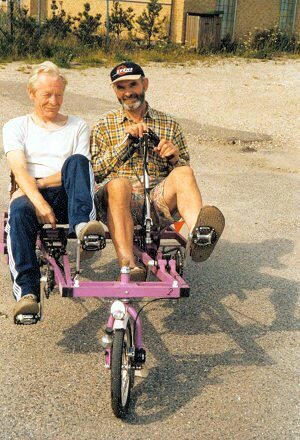 The tricycle is extremely manoevrable. 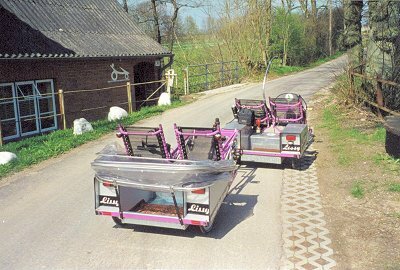 When the designer of LISSY is driving a crazy zig-zag course between close obstacles the passenger will be amazed at it. 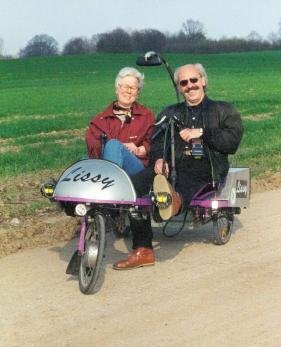 The suspension of the seat gives a comfortable ride and due to its large luggage space the LISSY is very practical on a daily basis. 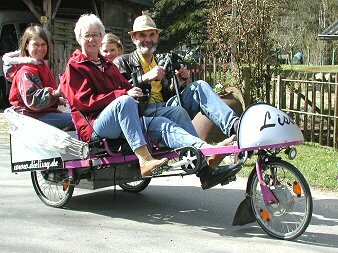 In theory the LISSY could really replace a family car.